It creates a gorgeous matte finish and is heaven-sent for a wide range of fair to dark skin tones. The invention of makeup setting powder is nothing short of a miracle...uuuuntil you step in for a photo op with the flash on and come out lookin' like you have ghost eyes. I'm of Mexican heritage and have medium-tan skin, especially during the summer when I'm out playin' in the sun, so I try to be careful when purchasing translucent powders, as they can easily wash me out and leave my skin looking unnatural. Not cute! That's why I like to buy setting powders that have some type of tint to them. Well, it's time to throw out your chalky powders and slam the door because THIS Buttercup loose setting powder ($22) is here to save us all from the horrors of flashback and faded makeup. The powder comes in three colors: Buttercup, Buttercup Light, and no color (transparent) — so if you lean toward translucent powders, there's still a great option available. The two Buttercup colors have a yellow undertone that's designed to better blend in with your skin (particularly darker tones) and eliminate flashback. Plus, it's cruelty-free! And as with any skincare product, make sure to do a swatch test on your skin to see if there are any reactions before using it all over. It's great for locking makeup in place, reducing oil, highlighting, contouring, and baking — so you can check off all the boxes. 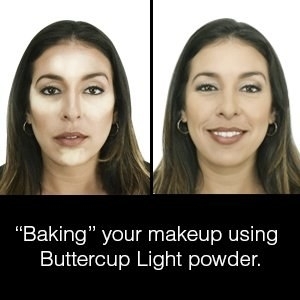 If you're looking to "bake" with this powder, apply a thick coat of Buttercup to the areas you wish to highlight (*after* applying your foundation/concealer) and let the powder sit for five to ten minutes. Go over the areas with a foundation brush and voila(!) — your makeup has been baked (aka set) and will now last much longer. And people, I come bearing proof that this stuff works. 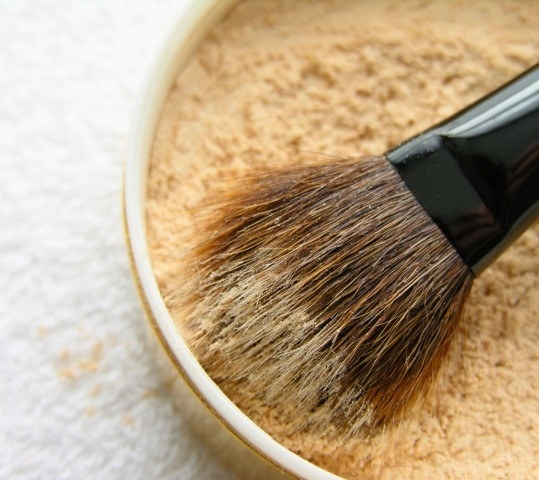 For example, this powder has a 4.4-star rating and over 2,500 reviews. Just think about alllll those humans taking the time to write about this amazing product! "OMG!!!!!!!!!!! This stuff took my average everyday makeup look to a whole new level, No creases under my eyes like I usually get using concealer alone. No visible stop/starting lines. No matter how well your blending technique is, some products just DON'T blend seamlessly. But this is so vibrant! It doesn't leave my skin looking lifeless, ashy, or whatever you like to call it. THIS stuff RIGHT and a MUST for any woman with melanated skin." —K.p. And look! Even with the flash on in a variety of lighting, there is ZERO flashback with this stuff. I can't stop looking at the reviewer photos because everyone looks so fabulous. Literally buy this right now because flawless, flashback-free makeup looks that last ALL day are waiting for you! Get it from Amazon for $21.95 (available in three shades).